I tried a new to me salvia this year, Wendy's Wish. 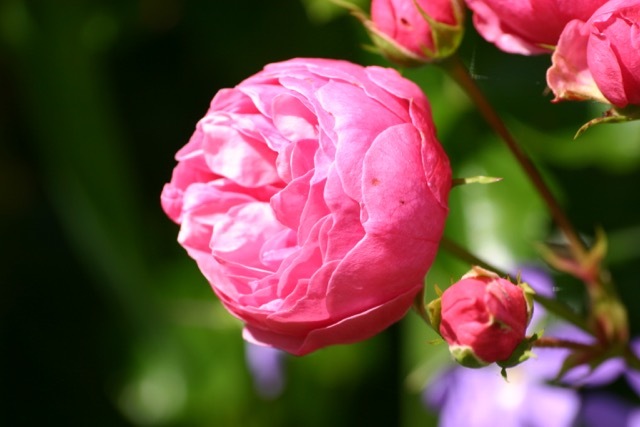 It is a rose pink and a prolific bloomer. After it got situated in the garden I haven't had to water it. The hummingbirds love it. I hope it stays with me like the Black and Blue salvia. They are tender perennials here. They sometimes return. 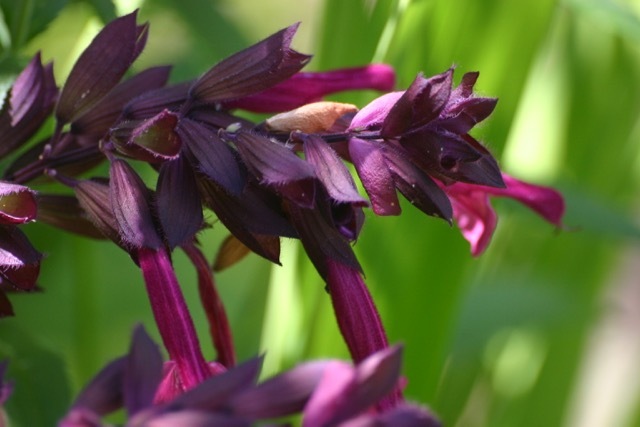 It seems I always have a patch of B&B salvia to strew around the garden from a protected place. I rarely have luck with amaranth of any sort, whether it be in a pot or in the ground. I think they have the most interesting blooms. 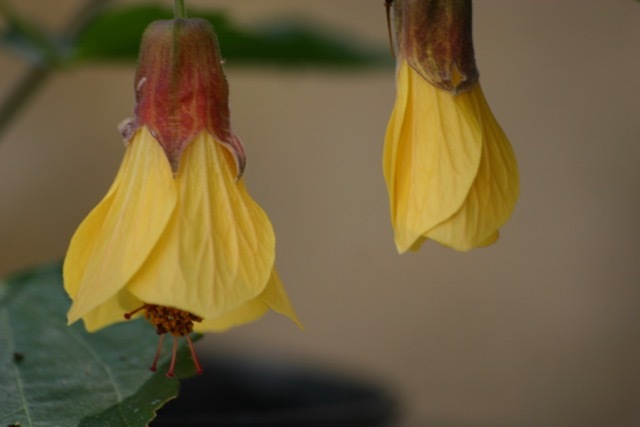 Abutilon is one I reallly like too however it doesn't do well here. It rarely blooms during summer and I have to bring it inside during winter. It begins blooming just as I bring it in and then not for long. 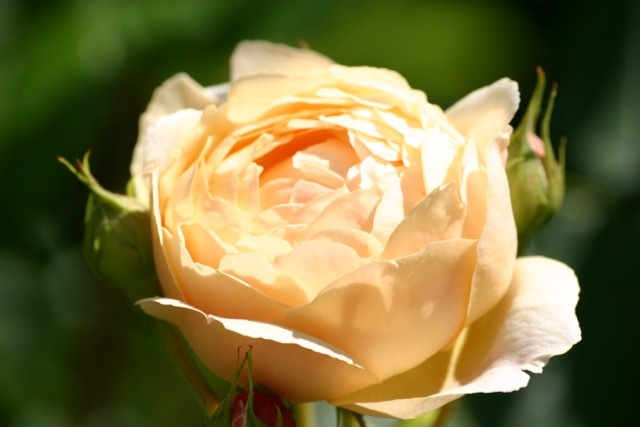 Love your roses. 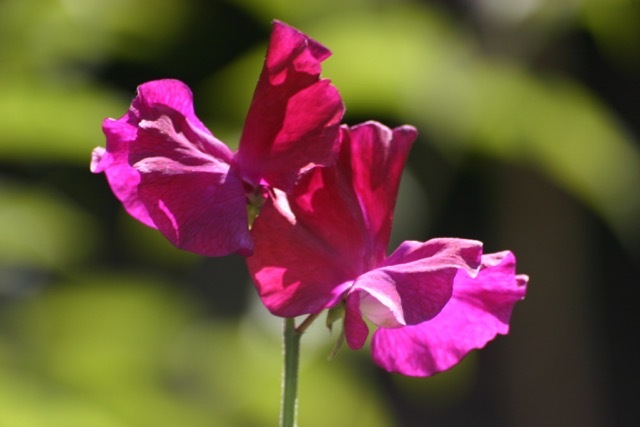 I have but a few and they are old varieties. Nothing special. I do have New Dawn that I have moved this year because it was in too much sun. I think it is going to like it's new space. I will have to wait to see for sure. Happy gardening. 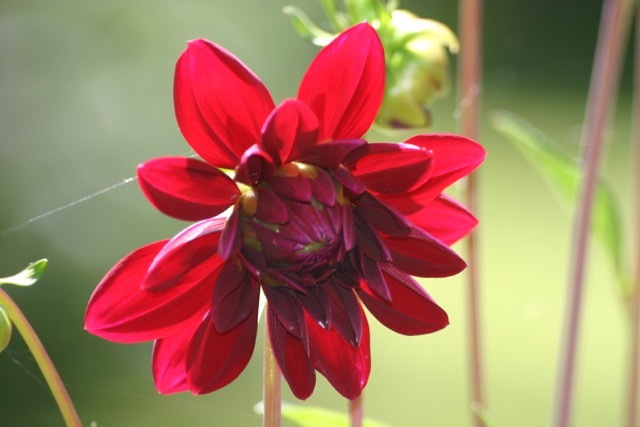 Ah, I have been looking at 'Wendy's Wish' online and thinking how nice it looks! I think 'Love & wishes' is an offspring of it. They are tender here too, so I am going to try to lift them in autumn. 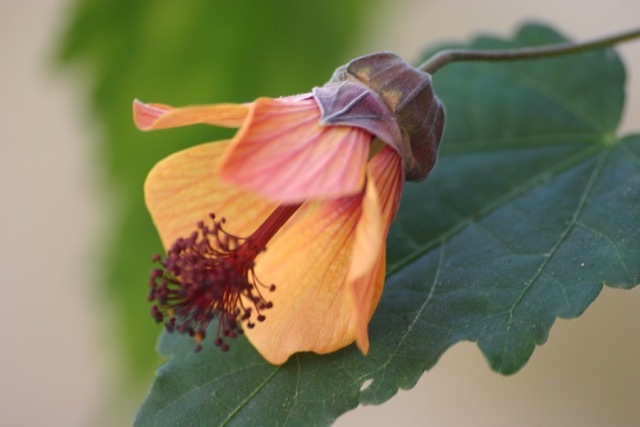 Abutilon must like our cooler climate as it flowers for a really long time - probably for around 9 months, as it is in the winter and protected from the cold. Malingerers not welcome here either Jane! 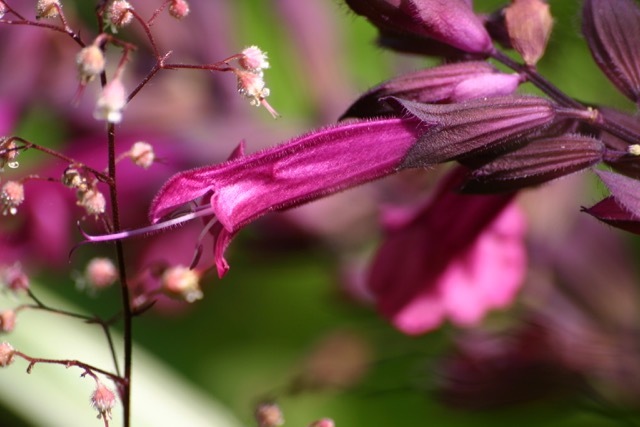 That Salvia is new to my garden this year too, isn't it a cracker. Not a hope in hell of it making it through a winter here but I'll take as many cuttings as I possibly can and treat it just like S. Amistad. I love the pink blooms against the Cotinus foliage, another good foil plant I find. You have just solved one of life's little mysteries for me Angie , as I have been wondering if it is possible to take cuttings from S. 'L & w'. Will you give me some tips please ? I absolutely love it. I grew Xanthos from seed too. The seedlings that survived the slugs have made fairly decent plants. The flowers are smsller than the pink,and white varieties but not button sized. Having said that the jury is out until later in the year as it certainly isn't as impressive as its cousins. That is interesting Sue! The one (!) 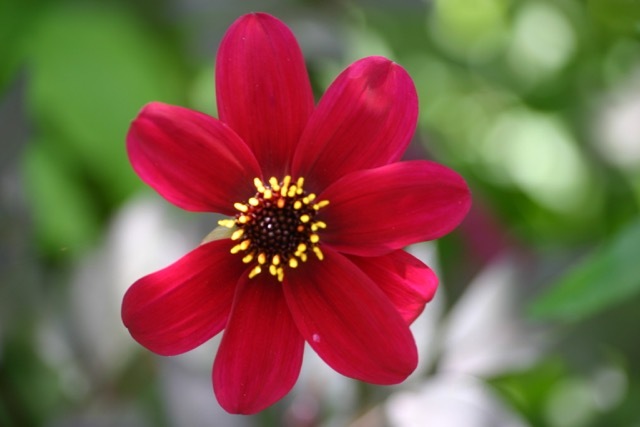 I have grown hasn't anything like the vigour of other cosmos varieties. I will not be growing it again , and I was so excited to try it too ! I think there is a bit of a theme starting with 'Xanthos'! So disappointing! 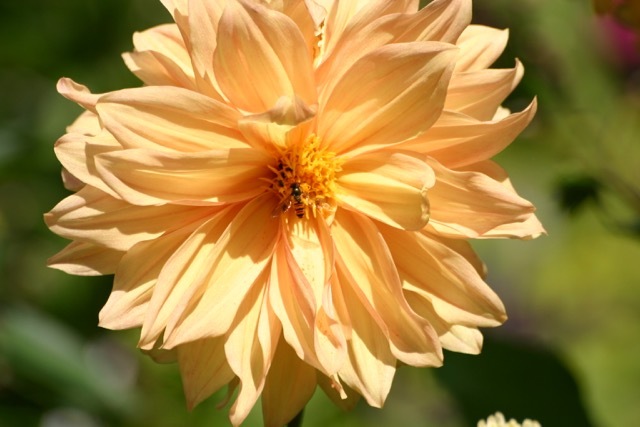 I agree completely about the colour as mine is a washed out , pale, greeny yellow - nothing like the photos in the catalogue! Hi Jane, A fun post to read, as usual! It's amazing how different a garden behaves from one growing season to another. Your roses are amazing! I will remember about taking the outer petals off of buds that are water damaged....I, too, have pink and white Lychnis. The white has been such a thug that I've pulled out hundreds of seedlings and given away at least a dozen plants and still have more. You can believe that I've dead-headed them this year! Coneflower is very hearty in my zone but, I've found that the cultivars are all underachievers....very disappointing and so tempting to buy them. They are all so beautiful. I finally have a new blog set up....I'm learning to navigate through it.....hating every minute of it, to be honest! Happy Gardening! 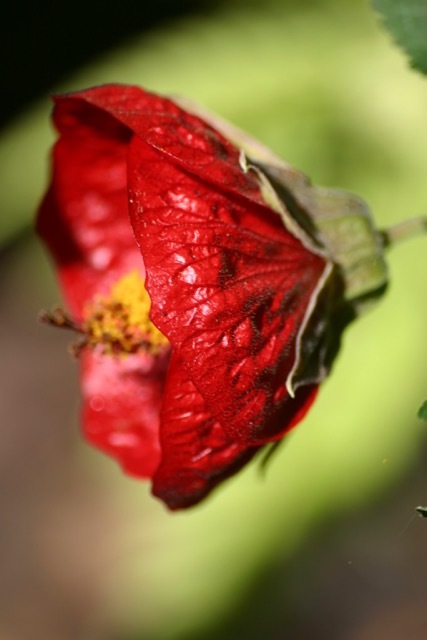 I had to smile (hope you don't mind...) at your failures - we all have them ;)Like amaranthus for me 2 years ago (don't think I am doing anything different now) and cosmos generally till last year. Oh, and most of my scabious and salvia for their second year :( Your Love and Wishes looks lovely and I wish I had one! How does it get on over winter? Have to admit that Xanthos is doing well though, but I am not convinced about the colour either. Thanks for sharing the successes and a few of the challenges. 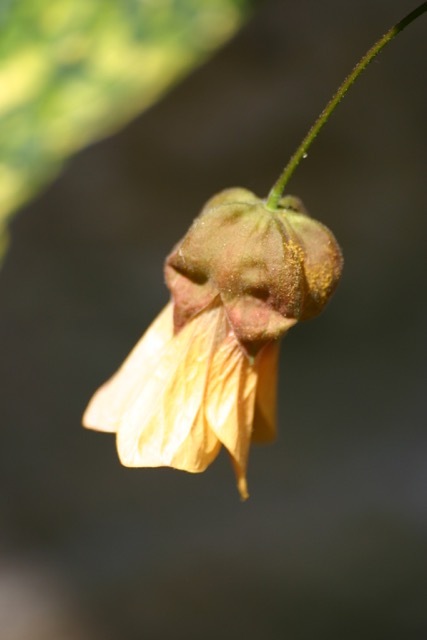 I really like that peachy 'Mayan Magi' Abutilon ... and your Sweet Peas ... and your Salvias. Lovely, lovely. 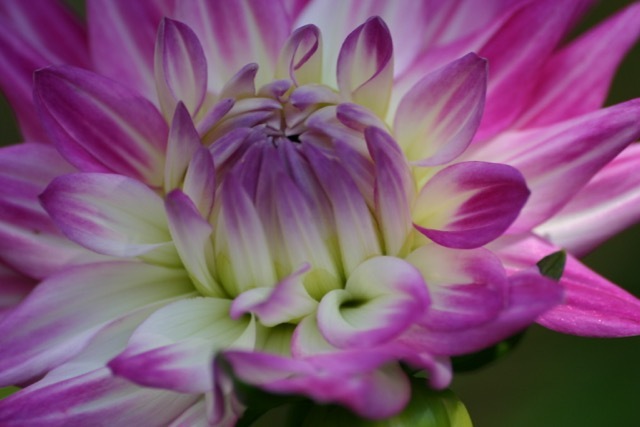 'Mayan Magic' is very special and I love the colour. I am just beginning to appreciate the joys of salvias ... why has it taken me so long ?? 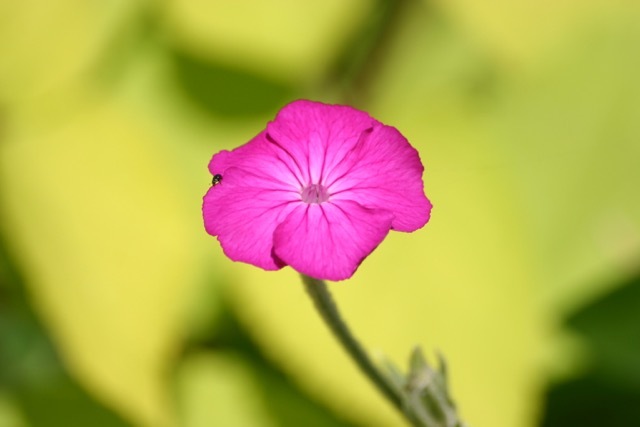 Some times the simplest plants such as the Lychnis and Sweet William can be the most rewarding to grow. I agree! I am getting to appreciate the reliable members of the plant family as I get older! A lovely post!! I lost a lot of plants this winter. In Holland no frost but I think I have to teach my plants how to swim because we had a not normal very wet wintertime. I lost all my Geranium's. 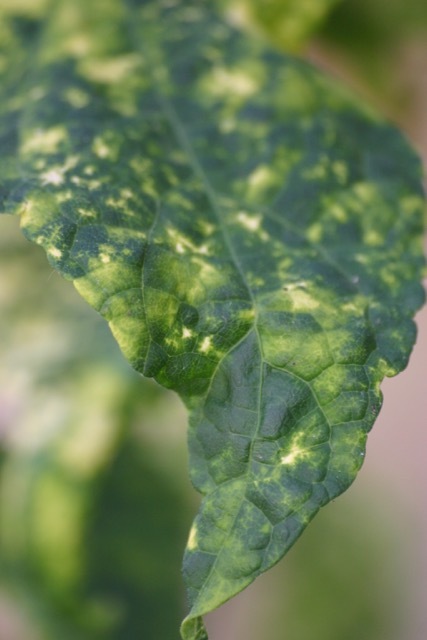 But other plants are suprising me in the positive way. Every season is so unique and I guess we have winners and losers every year! 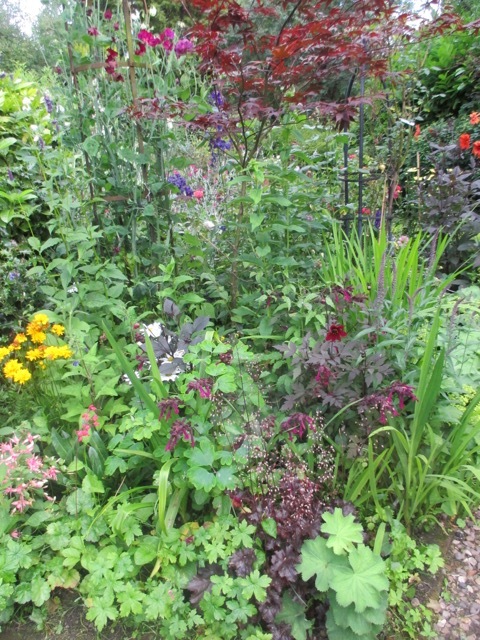 I think my plants need to learn backstroke too as we have had so much rain through June - just about every day . 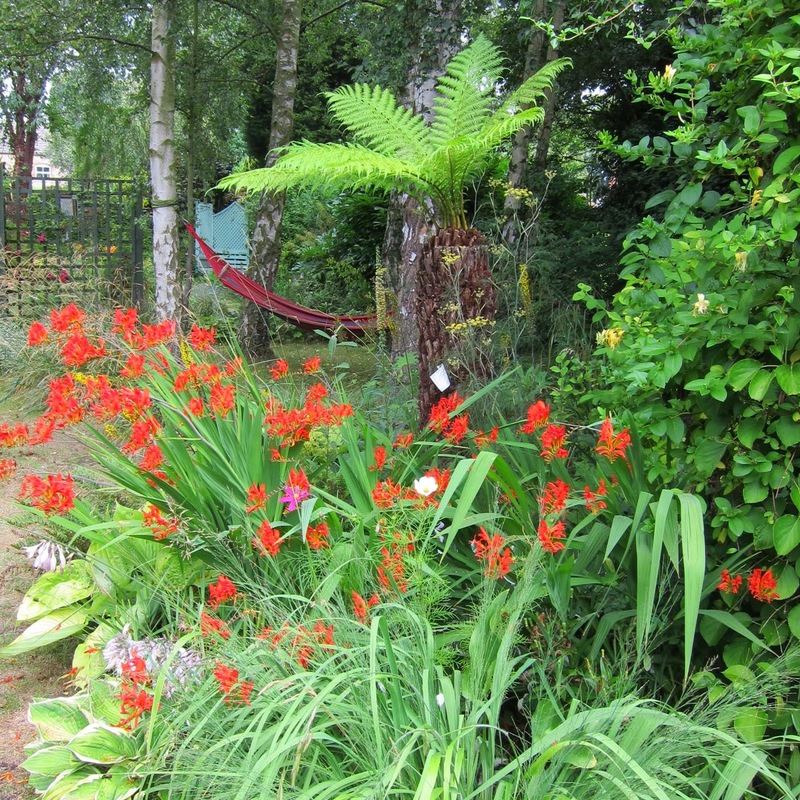 The ligularias and Rodgersias are very happy though! 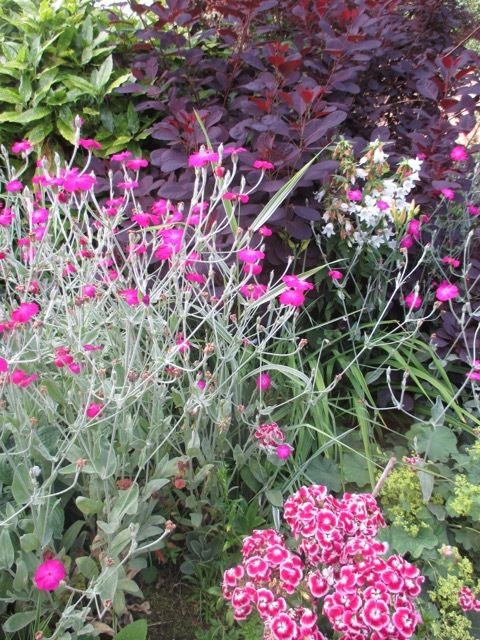 Love the Lychnis. I am struggling to find plants that 'show up' on the bank here. That should do the trick! Colourful post Jane, maybe not so strangely your list of non-performers is very similar to mine, obviously down to the weather. 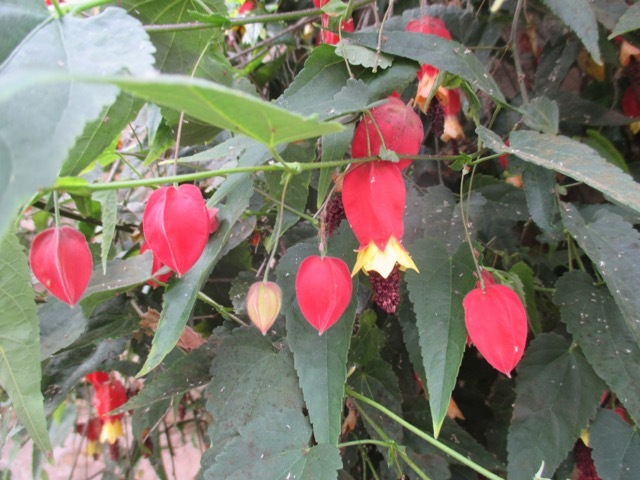 I have had good success with hybrid Abutilons grown from seed this year, I have grown them before and find them very reliable. 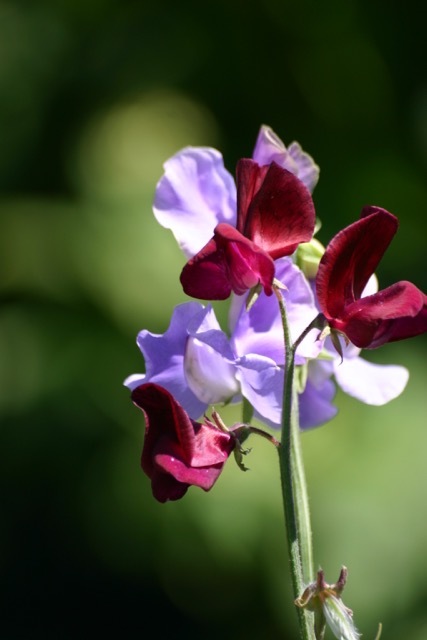 Although the plants can be kept over winter, as they flower so readily from seed in the first year, it hardly seems worth it.